8. 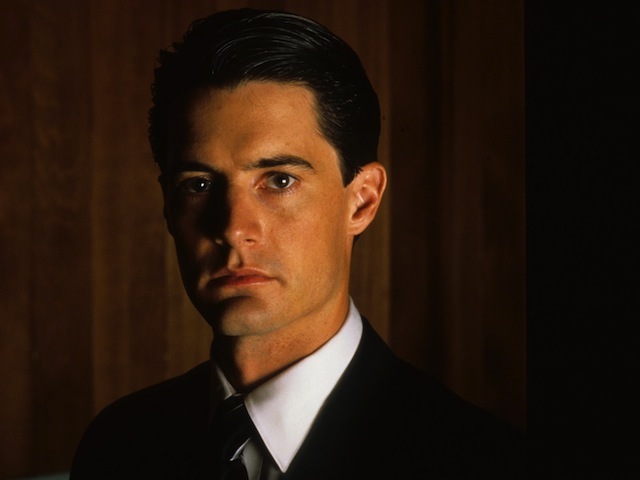 Let’s say, for the sake of argument, that every other person associated with the Twin Peaks revival decides to stick with it sans Lynch. There’s still no point in making this if Lynch isn’t involved, right? As the conventional narrative goes, the dramatic dip in quality during Twin Peaks’ original runcame as Lynch stepped away from the creative side of the series (he was frustrated with network constraints and focused on his 1990 film “Wild at Heart”). “Twin Peaks” didn’t work without Lynch before. Why should it work this time? Read more. The final image of the first season of “Better Call Saul” is a pair of double yellow lines — do not cross. It’s at once a sort of meta-comment on where Jimmy is at this point in the show, having turned his back on a seemingly promising law career with a firm in Santa Fe in order to keep charting his own course, and a weird moral instruction from the show’s writers to its characters. “Do not cross,” they say, “lest you turn your loved ones into that which you fear most.” Read more. What Plepler has done is impressive: Besides bringing great talent to the network again and again, he helped HBO fend off an earlier wave of competition, in the mid-2000s, when AMC and Showtime emerged as rivals for premium original content. And he has ascended through the ranks of Time Warner, a place whose corporate infighting has sometimes been as cutthroat as anything you’ve seen on “Game of Thrones.” “He’s the peacemaker who gets everyone to work well together,” says Jay Sures, managing director of United Talent Agency. As Bewkes puts it, Plepler “won’t steal your sandwich if you leave it on a desk. That’s an important trait if you’re going to go around and work in the white spaces, between people who are at odds with each other or have well-established walls between them. You have to make sure everybody knows you’re trustworthy.” Read more. 4. Film Should Be Taught in High School. Visual literacy isn’t taught in schools, and Asher Gelzer-Govatos of The Week thinks that needs to change. Students need the skills they would learn in a film studies class because our society’s lack of visual literacy has handicapped our critical thinking and turned us into gullible consumers of images. In my more traditional role as a history teacher, I slowly learned the sheer faith students had in visual data. Photographs, charts, and even paintings were treated as bearers of indisputable (if frequently mysterious) facts, not rhetorically charged pieces of persuasion. Of course, you can see this in adults too, from the unquestioned circulation of clearly photoshopped images on Facebook to the utter credulity with which the stories offered to us by cable television news are accepted. Read more. “Is That All There Is?” might be the quintessential “Mad Men” song — or, at the very least, the quintessential song about the unbearable lightness of being Don Draper. It reminds me of a moment in the season-two episode “The New Girl” when, seconds before his car crash with Bobbie Barrett, Don tells his very animated companion, “I don’t feel a thing.” Like the narrator of the song, we often see him struggling to accept and appreciate the things that seem to dazzle the more contented people around him, whether it’s love, money, LSD, California sunshine, or “Sgt. Pepper’s.” Read more. Even as the show enters the politically charged late ’60s, soothing instrumental hits keep on coming — Weiner juxtaposes heavy events with frilly mass culture to depict how America’s Silent Majority pacified itself. In the season five finale, as Draper visits a local movie palace, Alpert’s suave “Casino Royale” plays over the opening credits of the 1967 James Bond spoof of the same name; its appearance is incidental but also plays wittily off of Draper’s status as the show’s faux-Bond and serial bachelor. By 1968 — the year of fiery protest, national tragedy and blues-rock — French orchestra leader Paul Mauriat was atop the charts with his baroque harpsichord jam “Love Is Blue.” It’s the closing song of the episode dealing with the Martin Luther King Jr., assassination, the same episode that finds Don back at the movies with his son, taking in “Planet of the Apes.” Read more. #MadMen ends with Joan entering a goth phase and forming the band Garbage.